Owl pals, assemble! Because Giggle and Hoot are back with a brand new album! Featuring 18 new tracks and re-recoded favorites. Get ready for sleepy time with the brand new version of ‘5 Steps to bedtime’, practice your ROOOARing skills with the acoustic version of ‘Go Giggleasaurus’. Also featuring brand new tracks written by unearthed artists including Little May’s ‘Flying Giggle Ship’, Simone and Girlfunkel’s ‘Hootball!’, and Terry Mann’s ‘Giggle Galaxy’, which was nominated for Best Original Song Composed for Screen at the 2014 Screen Awards. 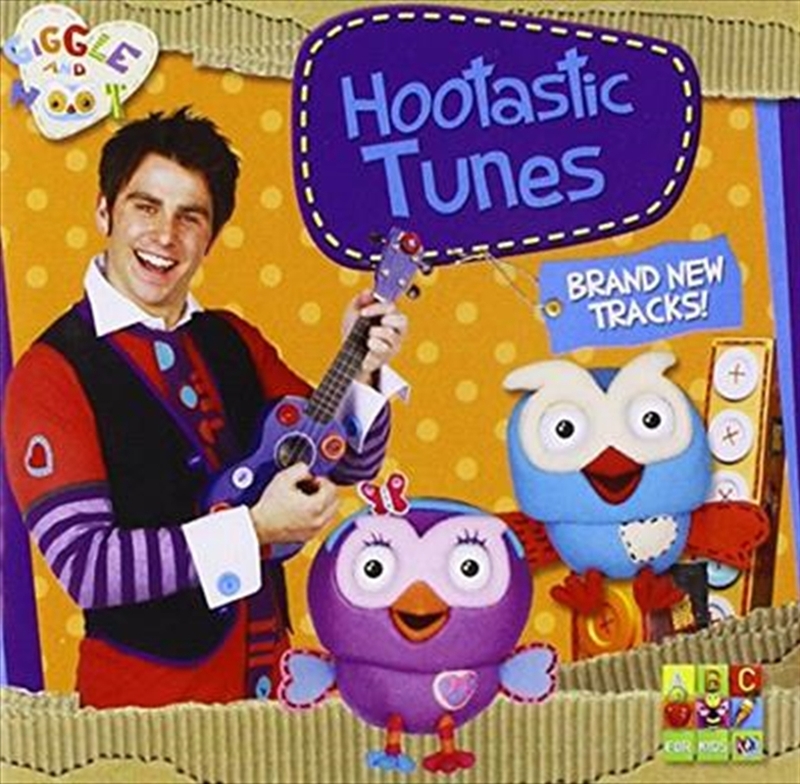 Giggle and Hoot is an award winning ABC TV children’s show starring best friends Jimmy Giggle, Hoot the Owl and his Hoot’s best owl pal, Hootabelle. Giggle and Hoot focuses on pre-schoolers lives and routines through friendship, laughter, imagination and music.